Ajith Kumar is busy with the shoot of two films one is being directed by Vishnuvardhan and the other one is in the direction of Siruthai Siva. Ajith has completed Siva's Vinayagam Brothers Rajamundhry schedule. join the sets of Vishnuvardhan's Valai movie in Chennai and the film to be wrapped up in 20 days shoot. Nayanatara and Tapsee are playing female lead roles while Arya in a key role. Siruthai Siva's Vinayagam Brothers fresh schedule to be canned in Europe where couple of songs will be picturised and to begin shortly. Tamanna is romancing Thala Ajith in this film. 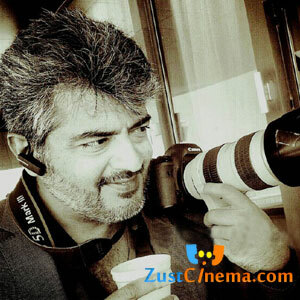 Ajith is in fast pace to wrap up the shoot and release the movies as per scheduled. Yuvan Shankar Raja is composing tunes for Ajith's Valai while cinematography by Om Prakash . AM Rathnam is producing the movie . Filmmakers are simultaneously finishing dubbing and post-production works of the movie.